Social Media allows you to consume the content that others provide in hopes that you interact with it Most users aren’t publishing tweets, status updates, blog posts & Instagrams just for the sake of it. If you truly enjoy what someone is putting on a social network, give him or her a Virtual Pat on the Back (VPOB). Likes, Retweets, shares, favorites and comments are ways of giving a Virtual Pat on the Back (VPOB). If you post something on the Internet, you want immediate feedback for how funny, awesome or well written is. A casual Facebook user will post a picture of their dog, their lunch or a funny observation and they expect some sort of feedback. What better way to validate them by giving them a VPOB? Liking a Facebook status is the simplest way to tell someone “Hey, keep it up! Me Likey!” Looking for more ways to increase your engagement? The two other forms of VPOB on Facebook take slightly more time, but will elicit a conversation. Let’s say you take a photo of your dog and your friend comments on how cute he is. In theory, you would comment back and your conversation has now begun. Conversations are only fun when there is a back and forth. The other form on Facebook is a Share. Someone likes your content so much that they felt compelled to share with all their friends (This is how going viral works). Make sure you acknowledge those who share your content, as they will be likely to share it again in the future. You can tell a fellow tweeter that you like their content a few ways; a reply, a retweet and a favorite. Twitter Favorites have two functions; its functions similar to a Like in that it sends a notice to the tweeter that you enjoyed their Tweet. That favorited tweet now is added to a list that you can look back on. Be careful though as favorites are public and anyone can see tweets you have favorited. A rewet is similar to a share because you are taking someone’s tweet and sharing it with your fans. If someone reteweets you, make sure to thank them. They’ll be likely to RT you again if you are responsive. You should respond to anyone and everyone that engages with you for this reason. While it may be time consuming, it’s important to cultivate these relationships. In the below image, the user shared an article I wrote about Facebook Post Styles to test engagement. I try my best to thank everyone who shares my articles. He comments on how much he enjoys posts on engagement and decided to go to my blog to subscribe, he even let me know. 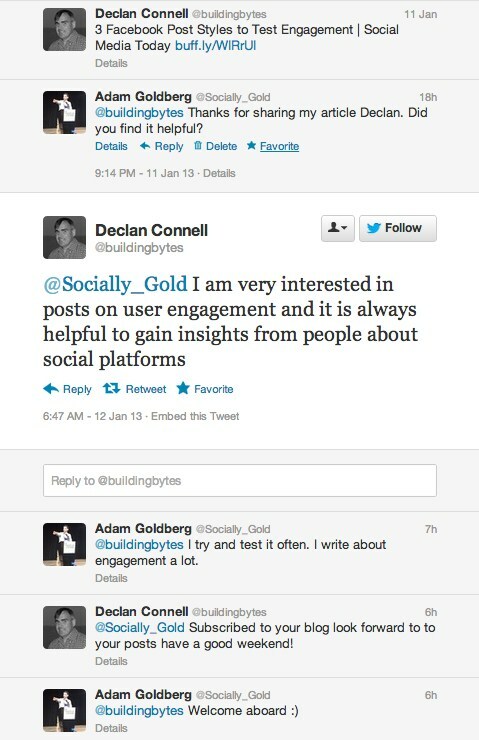 You’ll notice that he didn’t tag Socially_Gold on Twitter, so I didn’t receive a notification. I searched Twitter for the article’s title and his tweet came up. 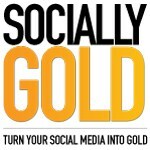 Why use this social media strategy to build online leads? You should consider working on these relationships as they will be your biggest advocates and create leads. Would you be more likely to get money from someone you know, or someone you don’t know? The easiest way to engage on social media is asking questions. Ask your fans questions instead of talking about yourself. You can also try implementing a strategy in which you only talk about yourself x amount of time, and the other amount is spent on asking questions of others. 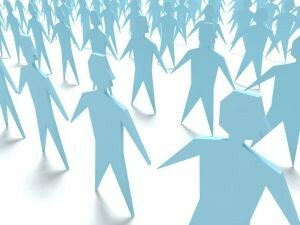 Be responsive and don’t overlook Twitter as providing online leads.